We chat with Steve Schnur, Worldwide Executive for Music & Marketing for Electronic Arts and President of the Artwerk Music Group. James Parkin: First of all, thanks for letting Xbox 360 Achievements interview you about Artwerk. Before we begin can you introduce both yourself and explain what Artwerk is and does? Steve Schnur: I am Worldwide Executive for Music & Marketing for Electronic Arts. My role has been to pursue, create and continuously develop the global music vision of EA Games. I’m also President of the Artwerk Music Group. JP: So what is Artwerk? SS: For the past eight years, EA has been instrumental in breaking new artists like Good Charlotte, Franz Ferdinand, The Hives, Fall Out Boy, Arctic Monkeys and many other terrific bands for grateful record labels. 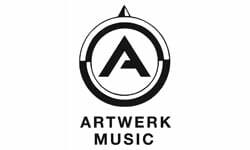 With Artwerk – a joint venture with our friends at Nettwerk Music Group – we can now directly sign, develop and launch our own artists for international opportunities that go way beyond gaming. JP: Do you have a personal interest in gaming? SS: I’m an O.G. (Original Gamer) from Pong on. I was also part of the original programming team at MTV back when I was in college, and spent the ‘90s at various record labels breaking artists that ranged from Metallica to Sarah McLachlan. All that experience – including a fortune in quarters spent on Galaga and years in front of a television playing 8-bit graphics – has come together in what I do now. I wanted to use videogames the same way that in the same way that MTV used television in the ‘80s. I wanted our games to be the place where people discovered new music. When you hear Franz Ferdinand on the radio, I want you to say, ‘That’s the song from last year’s Madden.’ Today, EA Games are the place with true music reliability, where you know you can hear great new songs that may just change your life. The bottom line is that we want you to discover your favorite new band through the experience of an EA game. JP: What’s the difference between Artwerk and other music labels? SS: Artwerk is a label, but we’re not in the record business. The cold, hard truth is that the traditional record label business model is now dead, as well it should be. The decade I spent working at record companies like Elektra, Chrysalis and Arista taught me the right – and wrong – ways to respect the consumers, the artists and the music, all while doing smart, fair, and innovative business on a global scale. They’re the lessons I apply every day to everything I do. Our current Artwerk roster – which includes Matt and Kim, Young Dre, Pint Shot Riot, Junkie XL, Airbourne, Datarock, Ladytron, Jupiter One and Chromeo – is already everything a cool label should be: Aggressively diversified, ferociously independent and insanely talented. Every one of our artists already has high profile deals that have stemmed from their initial placement in our games. We’ve taken a central role in their careers. We have 8,000+ worldwide EA employees working for them every day. Artwerk is, quite simply, Music 2.0: Where music, games and global digital entertainment all come together to re-write the rules forever. JP: When looking for a new band/artist to sign, what do you look for? SS: It may sound like a cliché, but I know it when I hear it. And when I hear it, I have to believe 1000% that a song will affect gamers the same way it hits me. Most importantly, every song – no matter what the genre – must point forward. Radio stations have the ability to drop songs from their playlist after only a few weeks, but our music stays in the game until the new version becomes available. We have to make sure that when we put a band in our games, they have the ‘cool factor’ for the entire year ahead. JP: Do you choose bands that are gamers or bands that appeal to gamers? SS: We sign unique acts that will not only sound amazing in games, but also on the radio, in commercials and movies, and at sports arenas. All of our bands understand this because they’re all gamers themselves. Do you know anyone who isn’t? JP: How does the whole sign up process of new bands work? Where do you find new bands? Do you have a group of experts or do you ask the consumers directly? SS: The only rule I have for my team when creating game soundtracks is that they cannot listen to the radio or read sales charts. Instead, we talk to everybody who works at every major label in the U.S., London, Canada, Greece, Hungary, Spain, Brazil, Japan and everywhere in between. We keep an eye and ear on every independent label. We meet with plenty of publishers. We see a lot of bands and listen to hundreds of thousands of songs. Most of all, we pay attention to what’s happening as much as we do to what’s not happening in music on a global scale. I never want us to be followers. We must always be the leaders. JP: When a band signs up with Artwerk, do they forfeit the possibility of having their music on non-EA games? SS: On the contrary; the goal of Artwerk is to generate as many different global opportunities for our bands as possible, including non-EA games. Datarock was featured in GTA IV. Jupiter One was the cornerstone of the new Mazda television campaign throughout Europe and Asia. Matt and Kim song will be featured in the new international Bacardi tv and online spot, Chromeo’s music was used in commercials for PSP and Zune. And Airbourne has already appeared in Tony Hawk Proving Ground, on Monday Night Football and all over the WWE, where their “Stand Up For Rock & Roll” became the official theme song of the Royal Rumble, and “Turn Up The Trouble” is the theme song for wrestler Mr. Kennedy. For Artwerk bands, placement in games is just the beginning of their global careers. JP: Have you ever considered commissioning a totally new/original soundtrack rather than using pre-recorded material? SS: We commission original soundtracks all the time. In fact, top Hollywood composers like Hans Zimmer (The Dark Knight), Mike Giacchino (Lost, the new Star Trek), Mark Mothersbaugh (Nick & Nora’s Infinite Playlist), Paul Oakenfold (The Bourne Identity), Bill Conti (Rocky), Chris Lennertz (Supernatural), Sean Callery (24) and Steve Jablonsky (Transformers) have all created terrific original scores for EA games that include Need For Speed, Medal Of Honor, The Sims, FIFA, The Godfather, James Bond and Command & Conquer. And Artwerk’s Junkie XL created an amazing original score for Need For Speed: Pro Street that was one of my favorite projects last year. JP: With the sudden rise of success of music games in the 21st century, how do you see music and games building on that? SS: Rock Band and Guitar Hero are a whole new medium of music discovery. It’s jaw-dropping to see 12-year-old kids rock out to The Who, ask questions about The Clash, and want to download more songs by the Ramones. According to Microsoft, players of Guitar Hero and Rock Band purchase an average of 3.8 million songs a month – and have bought more than 45 million songs to date – across all installments of the respective franchises. When was the last time the traditional record business could boast those kinds of numbers based on radio or video airplay? And where else today would kids have the opportunity to make a genuine emotional connection with music they may never have heard and easily dismissed? Long live Rock!